Nuna and UPPAbaby are both well-established stroller manufacturers with an excellent reputation for creating superb quality, easy to use products. 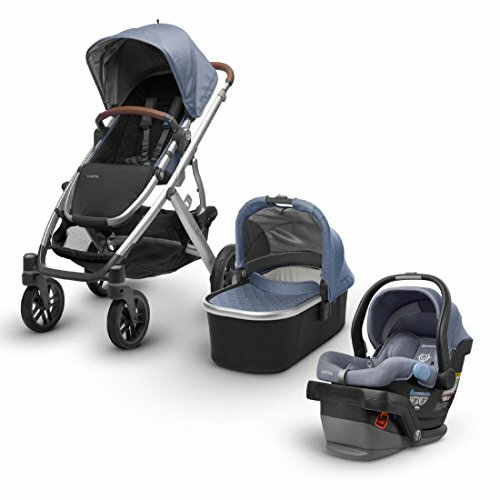 Not surprisingly, both companies’ strollers are very popular with parents worldwide, despite the higher-end price point. When you’re buying a pricy stroller, you need to be confident that you’re making the right choice. So, we’ve put together this guide so that you can make a well-informed decision. But before we get to the stroller overviews, let’s meet the manufacturers. 2 UPPAbaby: Stylish. Practical. Fun to use. Nuna prides itself on creating simple, easy to use products that are stylish and chic too. The Dutch company also makes other kids’ gear, including cribs, car seats, travel systems, and bassinets. 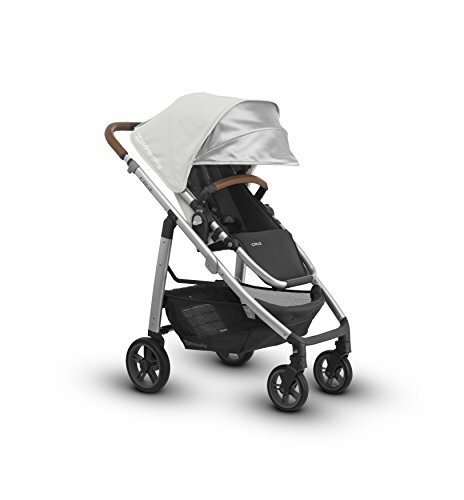 UPPAbaby: Stylish. Practical. Fun to use. U.S. company, UPPAbaby has been involved in the manufacture of luxury baby gear, including strollers, for over 30 years. 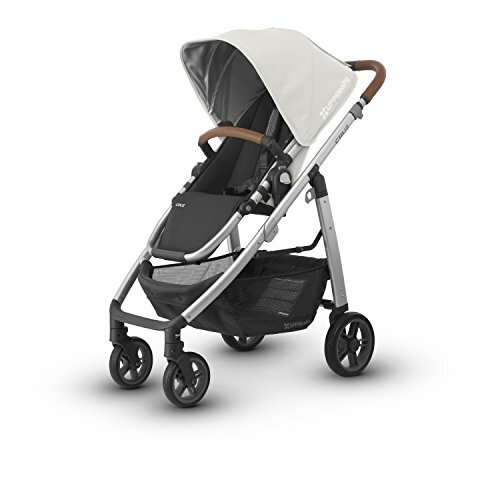 UPPAbaby’s stroller lines are all stylish, lightweight for practicality, and easy to use. With an UPPAbaby stroller, you can be sure that your passenger will enjoy a safe, comfortable ride. Like Nuna, UPPAbaby’s price point is on the high side, but you do get superior quality products that are built to last. Now you’ve met the manufacturers, let’s take a closer look at a few of their most popular stroller models and find out how they compare head-to-head. The Nuna Demi and the UPPAbaby Vista 2018 are both convertible strollers that begin as singles but can accommodate a second seat when you have another child. The Nuna Demi is the company’s first stroller that converts into a double for twins or siblings. The Demi has some features that you don’t get with the Vista such as a zip-out seat lining and intuitive custom dual suspension that adapts for smooth and rough terrain. The UPPAbaby Vista comes with a three-year warranty. The Vista has a huge storage basket that will take up to 30 pounds in weight. The stroller is car seat compatible with the UPPAbaby Mesa infant car seat and the bassinet, which you get with the stroller package. 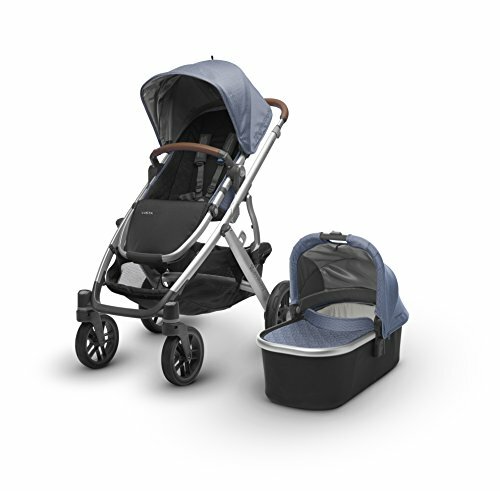 When compared as single strollers, the Demi and the Vista are pretty similar. 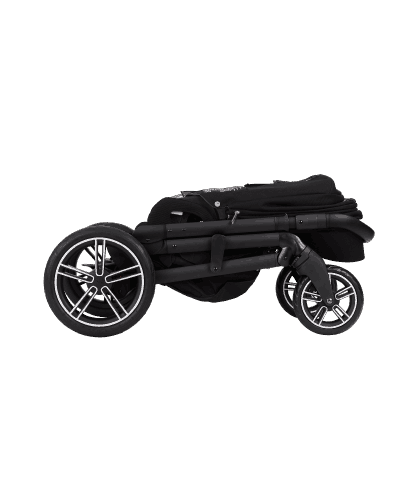 However, there are more differences when you convert the strollers to doubles. On the Vista, the second seat fixes in front of the main seat by attaching to the stroller frame. On the Demi, the second seat attaches via connectors in the rear of the stroller’s basket so that the seat sits behind and underneath the main seat. For the Demi, that means that the weight of both passengers is carried by the strongest part of the stroller, i.e., the rear axle. And the design means that the second seat will take a child weighing up to 50 pounds, compared to the Vista’s 35-pound limit. Because of the seat configuration, the length of the Demi is just 38 inches, making it slightly shorter than other convertible strollers. On the downside, the Demi’s second passenger essentially sits inside the storage basket, limiting your child’s view and movement. The second seat is also awkward to access for parents. Unlike the Vista, the Demi’s main seat only faces forward. The Vista’s second seat is easy to access, thanks to its position on the front of the stroller. However, the seat’s location does make the stroller longer, adding weight to the front of the stroller and making the push heavier. Also, the Vista can be used to carry three children if you attach the Piggy Back Riding-Along Board to the stroller. Nuna doesn’t make a similar ride-along board, but some third-party brands do fit. The Demi features two identical seats that can carry a child up to 50 pounds, beating the Vista’s capacity. In comparison, the Vista’s toddler seat carries up to 50 pounds, but the lower, RumbleSeat only takes 35 pounds. Both these strollers come out similar in the value for money stakes when you look at what you get for the price. Both the Demi and the Vista offer several seating configurations for siblings and twins. You can reverse the top seat on both these strollers so that the passenger can face you or face forward to have a view of the world. Both strollers accommodate an infant car seat in prime position with the toddler seat on the bottom. For twins, both strollers will take two bassinets and two infant car seats. The Demi’s bassinet can be used in the upper position with the main toddler seat in the lower place. On the Vista, you must put the bassinet in the lower position if you want to use the toddler seat as well. You can fold both the Demi and the Vista with the toddler seat attached. However, you must remove the second seat from the Demi before you fold it. Both strollers have an auto-lock and self-standing fold for easy storage and portability. The Demi is compatible with the Nuna PIPA series of infant car seats, and you get the necessary car seat adapters with the stroller. You can use the Vista can be used with the UPPAbaby MESA car seat, and no adapters are required. 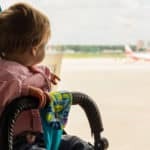 If you buy the necessary car seat adapters, you can also use car seats from other manufacturers, including Nuna, Cybex, Chicco, Peg Perego, and Maxi-Cosi. To see the Nuna Demi and the UPPAbaby Vista in action, check out the links. 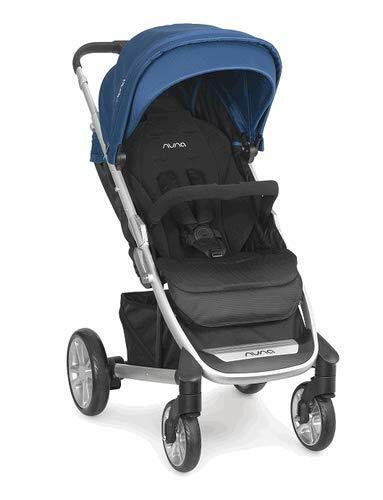 The Nuna Mixx2 can be used from birth thanks to its flat seat, bassinet or car seat compatibility. The stroller gives a smooth ride, has an easy fold, and looks like a luxury buggy but without a sky-high price. For 2019, the Mixx2 has been updated and is now called the Mixx. The new design boasts a new range of colors, a redesigned seat with added ventilation, and a no-thread safety harness system. The UPPAbaby Cruz is a super-lightweight stroller, weighing just 21 pounds. The fold is quick and straightforward to achieve, and the stroller is self-standing for easy storage. The Cruz has a large canopy that provides your child with plenty of protection from the sun, and like the Mixx, it’s compatible with a bassinet and car seat. The Mixx and the Cruz are comparable in size when folded, but the Mixx is five pounds heavier than the Cruz, largely thanks to its bigger wheels. The Cruz has small, thin wheels, whereas the Mixx has wider, larger ones. So, although the Cruz is lighter, the Mixx performs much better on uneven terrain, gravel, and grass. Both strollers can carry a child up to 50 pounds in weight. Both the Mixx and the Cruz share the same seating configurations. Both have toddler seats that can face in either direction and both have adjustable footrests and recline features. The bassinets for the Mixx and the Cruz are both doctor-approved for overnight sleeping. That’s great, as it means you don’t need to take your baby out of the stroller once he’s asleep. Of the two bassinets, the Mixx is slightly cheaper than the Cruz. Both bassinets are well-ventilated so your baby won’t overheat in warm weather, and both offer total sun coverage too. The Mixx has a cover that fastens via silent magnetic closures, and the Cruz includes an additional SPF50+ visor that extends from inside the canopy. When your baby is newborn, you can use both these bassinets with a stand inside your home. Once the child is too old for a bassinet, you can use the Mixx stand with the stroller seat to create a portable high chair, and the Cruz bassinet can be coupled with a fabric insert to make a laundry hamper. 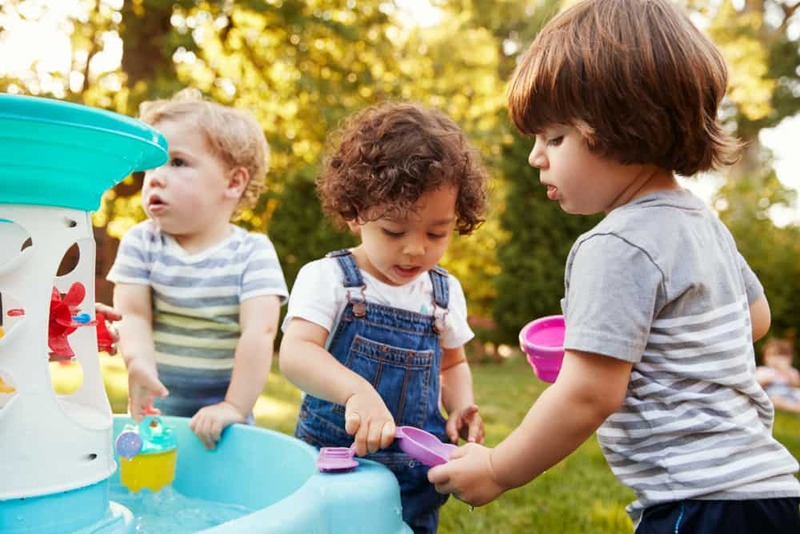 Both bassinets can be used until around six months of age, although the Mixx is slightly longer than the Cruz so that it might last you for longer. Both the Mixx and the Cruz are compatible with several infant car seats, including their own and other brands with a car seat adapter. 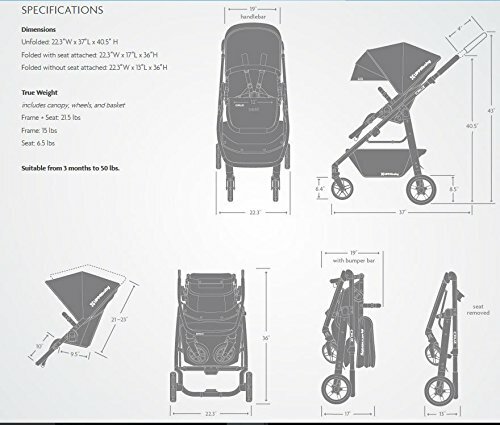 Although it’s not usually the accessories that sway a buying decision, some optional extras can help to make up your mind and allow you to customize your stroller to suit your family’s needs. To see both these strollers being demonstrated, click on the links. UPPAbaby Cruz video. Nuna Mixx video. The Tavo is popular with families for three primary reasons. First, you don’t need car seat adapters to use the stroller as a travel system. Second, the Tavo has a one-handed fold. Third, it can accommodate a newborn without needing any added inserts or a bassinet. So, all these features together with a realistic, affordable price point make the Tavo a winner with many parents. On the other hand, as you read above, the Cruz is a lightweight, convertible stroller that’s engineered to give you maximum flexibility from day one right through your child’s toddlerhood. The Tavo has a massive underseat storage basket, although the accessibility is somewhat limited thanks to the fact that the seat doesn’t reverse. The Cruz also has a generous storage basket with easy access from all sides. The Tavo is fitted with front and rear-wheel suspension that provides a smooth push, and the foam wheels make for a comfortable ride. The foot brake is flip-flop-friendly and easy to operate. The canopy on the Tavo is very versatile in that it has a UVF extension that provides ample coverage for your passenger. Silent magnetic closures mean that you won’t wake a sleeping child when you adjust the canopy, and a large peek-a-boo window allows you to check on junior without disturbing him. On hot days, the zipped-in mesh panel allows better ventilation. The Cruz has a generous, extendable canopy and peek-a-boo window too. Your passenger is assured of a comfortable ride in the Tavo’s plush seat that reclines almost flat, making it suitable for a newborn. The seat is roomy and able to accommodate a large child up to 50 pounds. 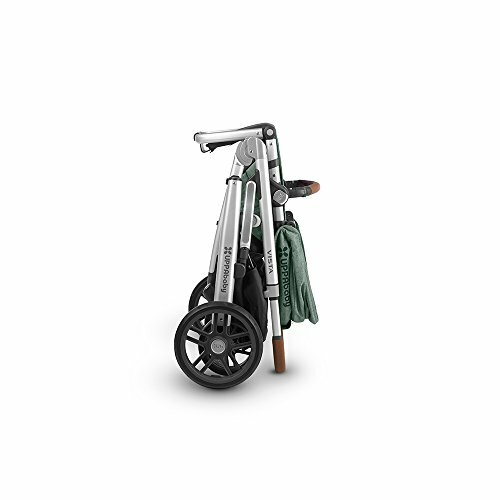 There’s also an adjustable leg rest and a swing-away bumper bar. The Tavo stroller folds quickly and simply with just one hand and features an automatic locking system. 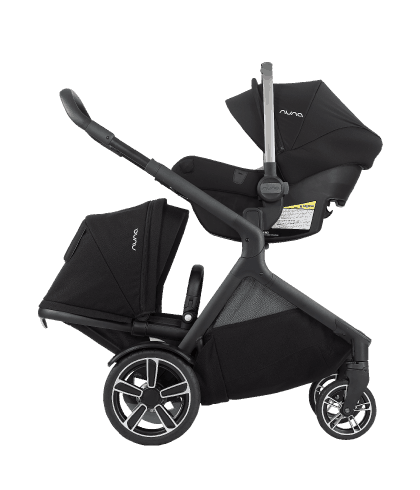 The Tavo is super-light, weighing only 24 pounds, which is remarkable for such a full-featured stroller. 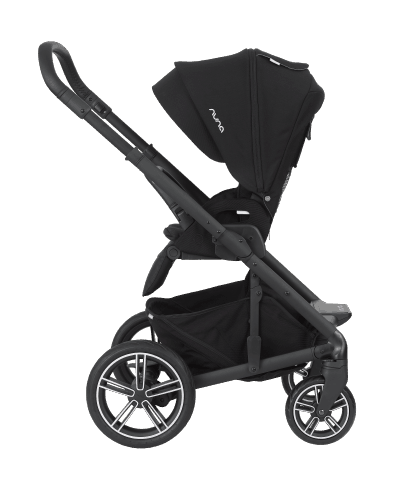 Like the Tavo, the Cruz can be used for a newborn, although you will need to purchase a carrycot for use with the stroller, which adds to the overall price. The Cruz is pretty adaptable, and you can use it with most car travel systems with the adapters provided. The Cruz comes with a few useful extras, including a rain cover and a bug net. 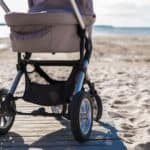 Although UPPAbaby is perhaps the more well-known of the two brands, Nuna’s strollers certainly give you lots of bang for your buck and are generally slightly cheaper than comparable UPPAbaby models. Both manufacturers produce high-quality, practical strollers that are a pleasure to use, offering excellent functionality and comfort for your baby. 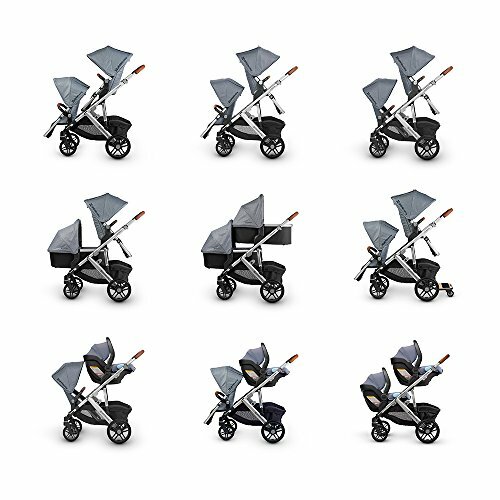 Which model you choose of those we’ve featured will depend on whether you want a versatile, everyday stroller that can take you off-road, like the Nuna Demi Grow, or a super-lightweight vehicle that will fit comfortably in your car trunk and can be used for running errands too, like the Tavo.